1) 12 YEARS A SLAVE – In his first two remarkable efforts Steve McQueen displayed a fearless, unflinching proficiency for gazing into the darkest depths of human suffering, and finding spiritual hope (in Hunger) and, alternately, all-consuming despair (Shame). 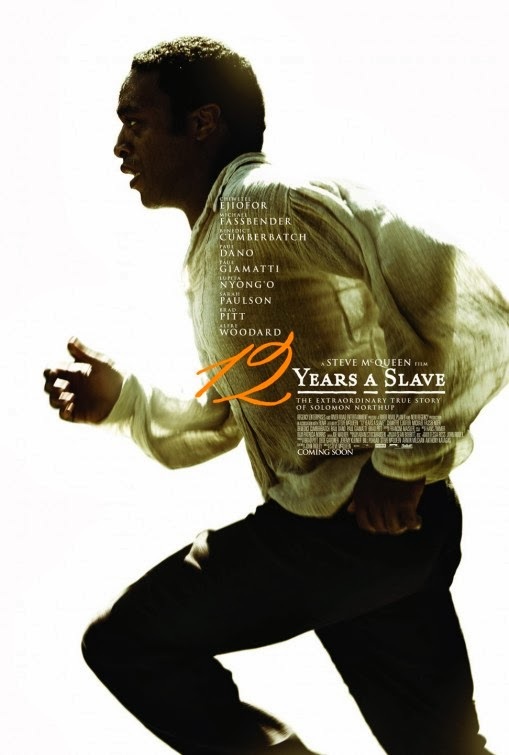 12 Years a Slave, his staggering dramatic recreation of Solomon Northup’s tragic true story, elegantly portrays each end of the spectrum, and the sea of turbulence in between. Diving headlong into the degrading horrors of slavery, McQueen mines every ounce of humiliation, pain and torment from this horrendous period of American history, exposing the profoundly destructive effect it had on every single soul involved. Extraordinary elevated by a trio of transcendent performances from Chiwetel Ejiofor, Michael Fassbender and Lupita Nyong’o, this unforgettably haunting picture isn’t just the crowning cinematic achievement of the year; it’s destined for prominence as one of the defining works of our era. 2) MUD – Following up his unshakeable 2011 gothic drama Take Shelter, writer/director Jeff Nichols’ fashioned this wonderfully personal and atmospheric noir-tinged tribute to lost innocence that rightfully warrants comparison with masterworks such as E.T., The Last Picture Show and The 400 Blows. Centered around an unlikely friendship between Tye Sheridan’s confused, sensitive adolescent and Matthew McConaughey’s mysterious island-dwelling escaped convict, this enchanting gem lovingly fills its layered, lived in canvas with countless colorful characters (Reese Witherspoon, Sam Shepard, Michael Shannon and Joe Don Baker, to name a few) and evocative passages of youthful discovery, frustration and idealistic naiveté. Mud spins an engrossing, beautiful yarn that fulfills our desire for delightful stories that energize the soul along the way. 3) SHORT TERM 12 – Although top-ranking directorial masters dominated 2013, there were also a handful of hungry new kids on the block demanding to be heard. Chief among them was Destin Cretton, who expanded his 2008 short into this powerfully raw, clever and poignant fly-on-the-wall look at the daily realities faced by an underfunded foster care facility. Dodging every possible saccharine cliché in the book, Cretton delivers a movie that is original, affecting and hugely uplifting. He also gives the ever-brilliant Brie Larson a much-deserved plum role as the weary chief supervisor attempting to resolve her own issues in a tornado of mentally-draining dysfunction. Short Term 12 is a sensational film and a genuinely thrilling glimpse of things to come from an audacious rising talent. 4) GRAVITY – If Children of Men definitively established Alfonso Cuaron as one of the principal cinematic storytellers of his generation, this astonishing white knuckle spectacle was eye-popping proof that’s he’s also the coolest technical boundary-pusher working today (sorry James Cameron). A small, gripping survival tale blown up to exhilarating big screen splendor, awesomely populated by seamless effects and one very frightened Sandra Bullock, Gravity was an intensely rewarding game-changer with vision and pure wonder. In a marketplace increasingly bogged down by manufactured blockbuster “thrill rides” this was the only one worth lining up for multiple times. 5) BEFORE MIDNIGHT – The final (?) chapter in the most authentic romance in motion picture history (yup, I said it! ), Richard Linklater’s third captivating Before entry observes now long-time lovers Jesse and Celine (co-writers Ethan Hawke and Julie Delpy) as they grapple with middle-age and the threat of stagnation in their relationship. Insightful, funny and often uncomfortably frank, this magnificent series continues to be a triumph like no other; an intimate, thoughtful portrait of real world love, with all of its dizzying highs and wounding lows laid utterly, recognizably bare. Midnight puts us through the emotional ringer with these two once-crazy kids, however there’s an abundance of warmth, understanding and truth waiting patiently on the other side. 6) THE WOLF OF WALL STREET – There were a lot of crazy parties thrown on the silver screen in 2013, but none more strikingly unhinged and fiendishly decadent than legendary director Martin Scorsese’s balls-to-the-wall adaptation of reformed Wall Street conman Jordan Belfort’s autobiography. With a frothing, sleaze-soaked Leonardo DiCaprio – in an all-time great performance exploding with sociopathic subtlety and Jim Carrey-esque physicality - unloading every potent weapon in his arsenal, and an enormous crackerjack supporting cast including Jonah Hill, Margot Robbie, Matthew McConaughey and Kyle Chandler, this sprawling epic comedy delivers scene after scene of edgy livewire genius. Orchestrating the chaos, Scorsese doesn’t just demolish the American dream, he makes us howl with amusement at the absurdity, and injustice, of it all. 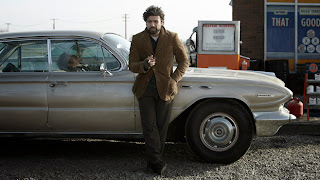 7) INSIDE LLEWYN DAVIS – Boy, those Coen boys are sure on one helluva roll. Another rich addition to their already incomparable filmography, Inside Llewyn Davis is a poetic, bittersweet meditation on the lonely struggles of pursuing grand artistic ambition. Chronicling a week in the life of Oscar Isaac’s water-treading 1960s folk singer, the Coens’ latest is a perfect hang out movie, allowing us the simple pleasure of spending time with a fascinating, flawed, gifted man whose only solace can be found in the freedom of musical expression. The boundlessly talented Isaac is a revelation here – both as an actor and a singer – and his weary, droll journey, scored to an array of foot-tapping tunes, is a leisurely joy to watch unfold. 8) MONSTERS UNIVERSITY – Let’s be honest: no one was chomping at the bit for a prequel to the 2001 classic Monsters, Inc. Yet Pixar, the once unassailable animation juggernaut, pulled out another minor miracle with this hilarious, big-hearted second chapter that actually manages to top the endearing original. Returning Billy Crystal and John Goodman to their iconic roles, and surrounding them with a host of memorable new additions, this zippy send up of college comedies boasts huge laughs, several exciting and inventive action set-pieces and a handful of surprisingly touching character revelations. In a year brimming with worthy, exquisitely rendered family entertainment, Monsters University stood confidently, head and beastly shoulders, at the head of the class. 9) SPRING BREAKERS – Gaudy. Ludicrous. Campy. Shameless. All of those descriptors cheerfully apply to this mesmerizing (and polarizing) Harmony Korine cult hit, a Guns, Girls and Gangstas flash bomb of satirical irreverence and synthetic style lobbed straight at Generation Y. A hilarious hyperkinetic fever reverie, Spring Breakers is positively alive and of the moment, gleefully reveling in the raucous excesses of modern youth culture while simultaneously throwing up its hands in irritated exasperation. Backed by an unforgettably insane James Franco turn, this provocative cinematic statement sure ain’t for everyone. Nonetheless, those able to surrender to its pulsing provocative beat are in for one relentlessly trippy time. 10) ONLY GOD FORGIVES – Similar to slot number nine, helmer Nicolas Winding Refn and star Ryan Gosling’s gonzo hallucinogenic Bangkok revenge thriller had no shortage of vocal detractors. This David Lynchian follow-up to 2011’s fantastic Drive is the ultimate anti-crowd pleaser; a moody, head-scratchingly enigmatic exercise in futility, dream logic, oedipal weirdness and brutal emasculation. Cloaked in brooding surreal symbolism and shot in vivid, suffocating primary colors, Only God Forgives is an addictively revolting and sadistic puzzle that unlocks dazzling new secrets with every revisit.